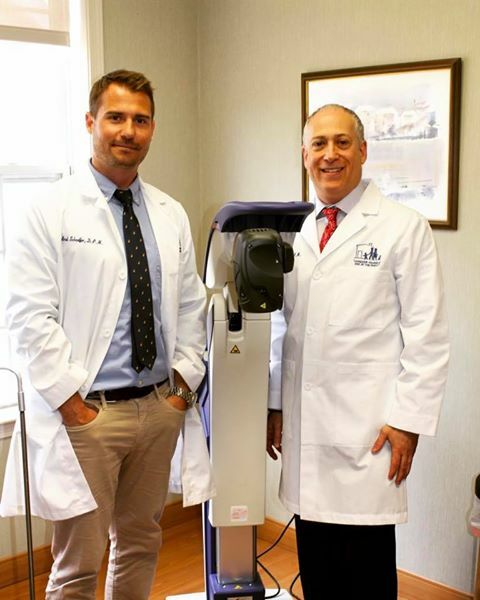 Family Foot & Ankle Specialists is glad to introduce our new MLS Laser and continue our mission of helping our patients with new, painless technology! MLS Laser therapy is a great treatment option for people suffering from foot and ankle pain. The laser is a nonsurgical treatment option and is safe and effective for most people. In addition, it is a great alternative to possibly habit forming medication. It is completely painless and has no side effects. This laser treats most common foot and ankle problems including injuries, chronic pain, post operative healing, and neuropathy. The laser energy stimulates the body in a way that allows the body to begin healing itself. The laser treats the pain and inflammation which will increase your healing time by up to 40%. The laser will increase oxygen and blood to the injured or pained area which is needed to heal. Often with pain and injuries, your body becomes stagnant in the healing process. This laser acts as a jump start to begin the healing process. The treatment lasts about 10 minutes. Depending on your condition, you will need between 6-10 treatments. These treatments are cumulative, meaning each additional treatment makes the last one more effective. It's quick, painless and easy. Isn't it time to get back to doing the things you love to do?